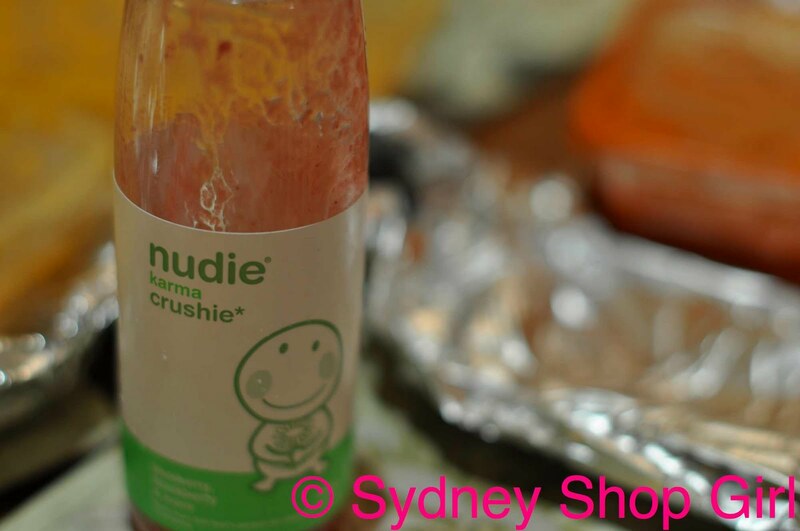 Sydney Shop Girl: Reclaiming the Night After Work With A Karma Crushie, Yoga and 10 Year Old Trackpants. Reclaiming the Night After Work With A Karma Crushie, Yoga and 10 Year Old Trackpants. Life's been a bit hectic at work and to be honest, I've been using it as an excuse to just drive home, zone out in front of the television, eat dinner and go straight to bed. Ironically, those extra hours laying in bed haven't really translated into extra hours of sleep. I'm sure you know the feeling. The day's events reel through your mind repeatedly, each 'showing' highlighting more and more of the moments where you felt totally out of your depth. The logical mind says that the bad moments are actually your greatest learning opportunities. However, being physically and mentally fatigued is never an ideal situation for the logical mind to be heard. You end up falling into a fitful sleep several hours later. Was there a better way to have spent those hours? When life is calm and predictable, it is too easy to overlook the fact that it's not just getting to bed early that contributes to a successful working week. Just getting through 5/7 days of the week doesn't feel as good as owning them and enjoying most of their hours. All those things you do out of work hours that keep you feeling sane matter even more when life just seems to be about pressure and anxiety. Tonight I've decided to take action . I've reclaimed the night. I went to yoga. We did a lot of shoulder work. I tend to carry tension in my shoulders and judging by the number of adjustments I needed in class tonight, those shoulders had just about reached their tensile strength. It was a challenging class and kept my mind focussed simply on how I needed to control my body. There was no chance for my mind to wonder off or drift away back into the day I'd just survived finished. Mr SSG ordered well tonight - butter chicken and lamb briyani plus garlic naan. There's something about yoga that makes me think Indian takeaway. It was Mr SSG that put me onto it. So here is a photo from dinner. Our local is great. They wrap all the curries individually in Alfoil so they don't leak en route. Our local Thai puts my name on the docket and delivers in brown paper bags and those American Chinese takeaway cartons. We get a large bag of prawn crackers from our favourite Chinese takeaway. We live in a well catered part of Sydney. Of course, it's a totally healthy well balanced meal with the addition of a nudie juice. Since 2008 and those 3 letters beginning with G and ending with C (so it's not Gok, I still need him to help me with my spring wardrobe, it's not really a defined part of my large collection of clothes, I shop for extreme weather conditions), we have all been bombarded with messages of thrift, frugality and debt avoidance. I don't know what it's been lately, but that message has changed. Perhaps it's the arrival of spring, Paris Hilton being denied entry into Japan, Britney being on Glee this season or that there are 3 finalists for the finale of ANTM 2010 (instead of 2), but we are practically being told to SPEND. It's been the opinion of many a respected news source. It started with ABC news radio when the dollar hit 0.935 USD and continues in other media. It's an exciting prospect, but I was just getting used to thrift and shopping my wardrobe. Witness this blurred photo of my yoga pants. They are actually 10 year old Country Road trackies. These faded navy, comfy, soft and completely unflattering pants are a case in point of if you keep clothes for long enough, they come back in fashion. They are drop crotch harem pants in the manner of those Bonds ones I saw on the bus stop on my jogging path a few months ago. I remember blogging about those pants. Thank goodness it was only blogging and not buying because it turns out I had them on my wardrobe all this time. Why pay good money for a new unflattering item of clothing when you already own them? By the way, thanks to everyone who helped identify Jess Hart as the Seafolly girl from my previous post. Jess has gone on vacation now and has been replaced by Ecco comfort summer casual sandals. They too are growing on me in a rather alarming manner. In a further frugal act, I am wearing my mother's OPI, Belize It Or Not as applied by my own shaky hand - so that's borrowing and DIY as well as saving. I have learned much from the GFC. Mum, if you're reading, I will have the OPI back to you in Perth when we next come over to visit. Sorry for kidnapping it. Here's a close up of the waist action on those track pants. They are scarily high. It's a worrying thing when you can't remember wearing any other pants where the waistband falls at your waist rather than well beneath it. SSG Manor loves The Blind Side. This is the second time the DVD has made its way from Video Ezy Gladesville to the Manor. Sandra Bullock richly deserved her Oscar. I loved her clothes. Mr SSG identified her watch as 'that white plastic Chanel watch you wanted'. I told him it wasn't plastic. We agreed to disagree. We did reach a consensus on the film being well written and completely absorbing. It wasn't shmaltzy or bleak but walked that fine line between it. Glee returned to our screens tonight!! I think we are in sync with the US schedule. I'm going to watch it tomorrow night. Your post brought a smile to my face - I'm wearing a jumper that was bought > 10 years ago. It's never been in fashion and never will be. Thanks for the kind words, foodwink and FF. Glad to have provided an opportunity to smile. I've made myself smile too. Blogging is proving to be very restorative.